Will You Become an Early Riser?-The fit sisters. I'm not sure I will. 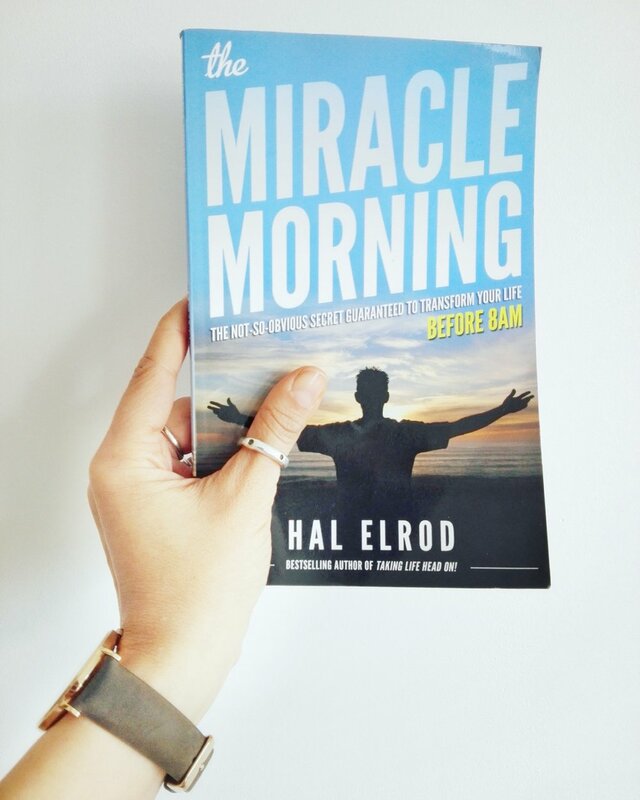 Will The Miracle Morning by Hal Elrod help me with that? I always wanted to do it and become that person who starts the day early, like really early, and then by 10am ticks off almost everything on the to-do-list (reminder to write another post about my lists). I guess many of us wouldn't mind about that part. I also always wanted to meet friends, and go out, and have a few drinks. And then wake-up early and do this thing where I'd be so productive and done by 10am. I'm not that much into drinking any more, this sensitivity I have with digesting special foods, affects also my ability to drink. I can have a glass of wine, or a G&T, but I don't feel 100% the next day so I have to choose wisely when I'll get that sip. And if I can have an early night then what is it that keeps me from going to bed early and waking-up early? My subconscious. This idea I have in my head that the evening is my mindful time, my reading time, Netflix watching time, talking on the phone time. Anything but going to bed early. Did this book make me change my mind? Actually it's not my mind. I'm convinced I need to go to bed early (at least a couple of days a week). It's a cosmic reaction that pulls me into doing all these things and before I know it it's already past 11pm. So is this miracle morning a miracle book? I have to say I never really read self-reflecting books, or whatever we call them nowadays. I read The Easy Way to Stop Smoking by Allen Carr some 10 years ago and I remember I was thinking exactly the same thing I thought when reading The Miracle Morning. It's not like they tell me anything new. I don't even feel inspired. But...I feel challenged. And that's enough for me to try. I quit smoking a bit after I read Allen Carr's book (I didn't even finish the book). I'm sure I can try the 6 am wake up. But will it become a lifestyle habit? I'm not sure. So the book is easy to read, a bit funny, a bit boring, and mostly repetitive. I don't know, maybe it works like therapy, or maybe it's this psychological trick (any psychologist in the group to confirm?) the more you repeat something, the more people will believe it. Anyway, I got the feeling he was really stretching it, trying to fill in the pages but can be it's just me. I'm a bit too cynical sometimes so perhaps a more intuitive person will love it. Don't get me wrong. I think it's a nice book to read if you, like me, need a bit of a self-imposing read to change some habits. But if you want to read it because of the hype, then I'd say read something else instead. For me it worked in the sense that it gave me a push to start. There are plenty of articles around about how the successful people are also early risers. The book made it a bit more tangible for me. Because I love books. I'll give it a try but somehow it's never the right day (or the right evening lol). I'm almost self-sabotaging myself before I even started. So let's see if it's going to work. The idea is for me to do this test for 10 days and see how it goes. From Monday July 10th*. I'll write about it and let you know how it goes. Before I become too successful lol. * Update: July 1o wasn't a good date lol. Any summer day is not a good day, I came to realise. So I'll get into it as of September guys. That'll be a good way to detox and restart my system after all that summer vibes (wink wink).